This system is based on chilling a large quantity of water which is then pumped through a heat exchanger alongside your existing primary cooling farm water supply to cool down the milk so that it’s at a temperature of around 8 - 10°C before it reaches the vat. The vat refrigeration system therefore only needs to cool the milk down a further few degrees to reach the 6°C regulation, meaning there is a lot less pressure on the vats refrigeration system to chill the milk than is currently the case. It has an inverter-controlled compressor so the compressor can slow down with reduced load. This provides money savings due to reduced electricity consumption by the refrigeration unit. Increased performance because of the inverter of the compressor, which can over run above the rated capacity of the unit at peak demand. Has a larger volume of thermal mass to draw from due to 25,000 litre water tank. 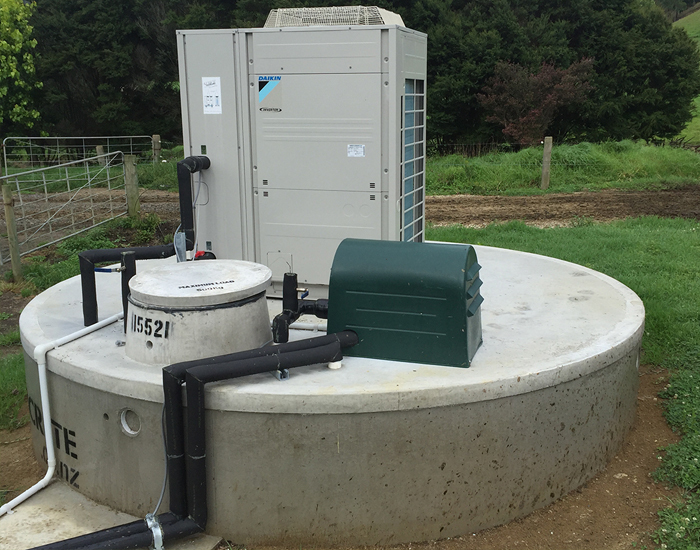 Chilltech installed a Daikin Chilled Water system on a Northland farm in March 2016 and the team instantly saw improvements in not only milk temperature but also the speed and power used to achieve the results. Each of our case study systems have been fitted with data logging equipment in order to track performance and monitor water and milk temperatures. Milk cooling data logging is a recommended part of the new MPI requirements. Information should be held for 30 days. Chilltech can install a data logging mechanism on your system to take the hassle out of recording your own temperatures everyday. All data is instantly downloadable to USB for storage. 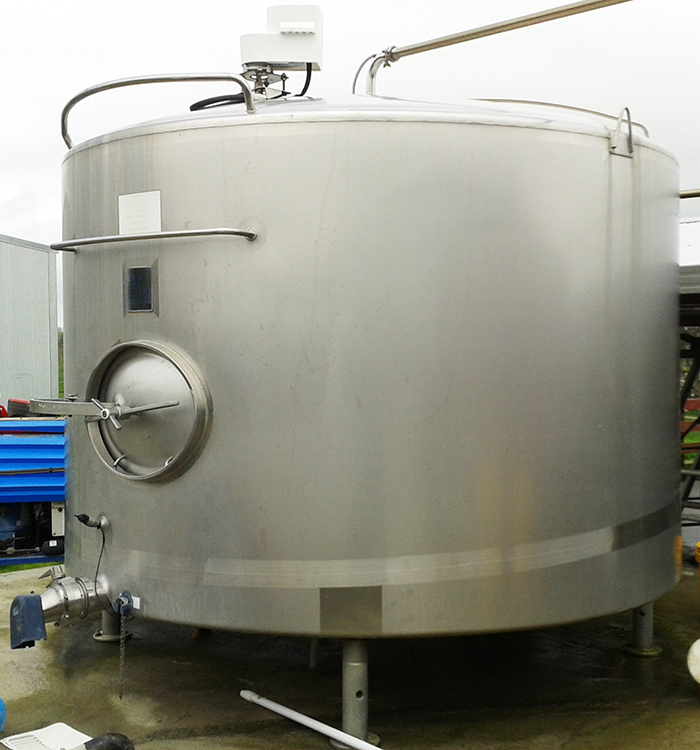 21,500 litre vat with side pads. 13hp on base pad / 7 ½ hp on side pad. Our dedicated team of Farm Vat engineers are ready to assess your milking shed. Book your free site visit with us and we will provide you with an estimate of costs to install one of our systems. Want to be more sure? 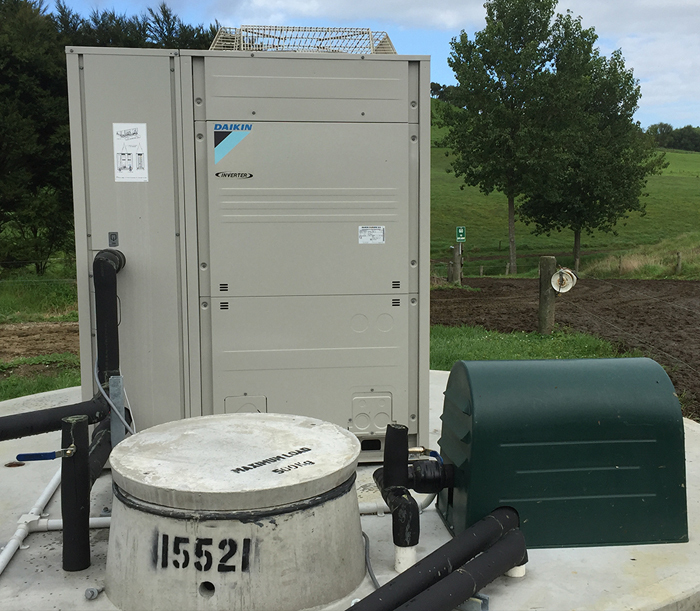 For $500+gst one of our team will come out to your farm, install data logging equipment on your current system and leave it running for a 10 day period to be able to provide a full analysis of your current milk cooling equipment performance. From here we can give you a fixed ‘turn key’ quote for a new system. Either way, get the ball rolling with us; we’re here to make the transition to the new regulations and getting your milk to the right temperature easy. We will offer you sound and justified advice. Our own staff will carry out the service and maintenance of your new and existing refrigeration equipment. We’re local, so we can come to you. We have a 24hour emergency call out service – if you have an urgent issue in the shed, you can count on us.